As has been his position from the start, McCarthy has never agreed with claims challenging President Obama’s birth certificate,” said McCarthy’s communications director. 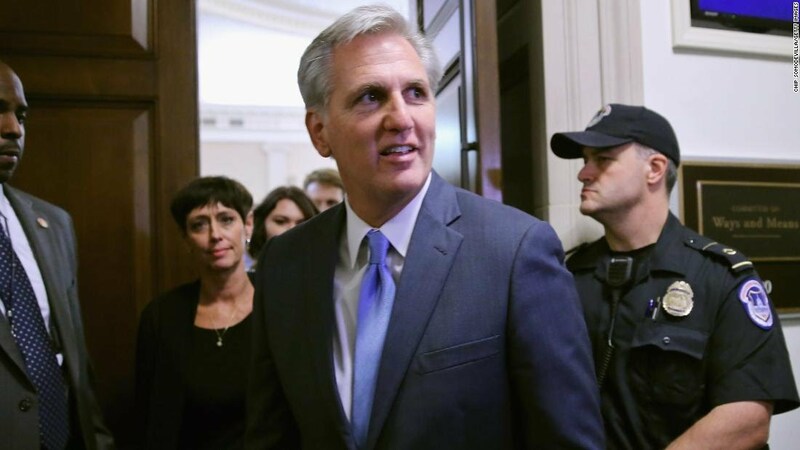 (CNN) House Majority Leader Kevin McCarthy hosted members of the birther movement in his office for a meeting in 2013, where he was shown a video alleging then-President Barack Obama had forged documents related to his citizenship, activists at that meeting tell CNN. The activists documented the trip on Volin’s website, wheresobamasbirthcertificate.com, where they posted pictures of themselves outside the congressional offices of both Democrats and Republicans. One of the photos shows Harrison and Pavich with McCarthy, who at the time was the majority whip in the House. Another image shows a printed photo of the two activists and McCarthy that contained the message “it was good to visit with you in DC.” The image appeared to be signed by McCarthy. McCarthy is the only congressman pictured on the DC presentations page of the website. Other photos on the website show the activists meeting with staff from other offices. CNN’s KFile came upon the photos in the course of researching the birther movement for a separate story. Pavich lives in McCarthy’s district in California and said he has met with the congressman several times over the years and has raised the birther issue with him before 2013. From the time Obama was a candidate in the 2008 presidential race and throughout his presidency, activists on the far right made attempts to prove he was not a natural-born citizen and thus ineligible to be president. One of the leading voices casting doubt on Obama’s citizenship was Donald Trump, who repeatedly called into question the authenticity of Obama’s birth certificate. There is no credible evidence that Obama, who was born in Hawaii in 1961, is not a natural-born citizen. In 2011, Obama released his long-form birth certificate, showing he was, in fact, born in the US. The meeting between McCarthy and the birther activists occurred more than two years after Obama released his long-form birth certificate. The two activists who attended the meeting, Harrison and Pavich, told CNN’s KFile in separate phone interviews that it lasted at least 30 minutes and possibly as long as an hour and said it took place in McCarthy’s office in the Capitol building. Pavich told CNN that he had asked for the DC meeting in advance and that the activists were upfront about the reason for requesting the meeting. He said he brought up Obama’s Selective Service card at the meeting and showed McCarthy a video that made the case against Obama’s citizenship. “I played to him the sections (of the video) showing the forged Selective Service card and the question about the postal stamp, how the postal stamp was forged, and congressman McCarthy’s jaw dropped. He just couldn’t believe that he hadn’t heard of that and he thanked me for bringing that to his attention and he told me he would look into it,” Pavich said. “He told me specifically that he was going to request a copy of his own Selective Service application that was on record with the State Department, because he was curious, very curious about this,” Pavich added. Pavich said he met with McCarthy again in 2015 in DC and McCarthy said he had not yet gotten a copy of his Selective Service records. McCarthy’s communications director did not comment on the activists’ recollection of the meeting. The video Pavich presented McCarthy was called “The Sheriff’s Kit,” a presentation inspired by former Sheriff Joe Arpaio’s investigation into Obama’s birth certificate. 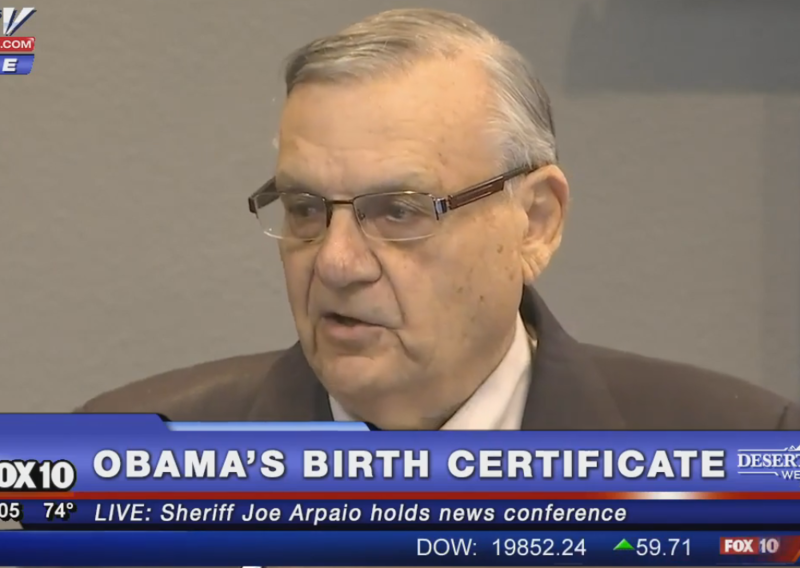 Arpaio, who is running for Senate in Arizona, recently doubled-down on his claims that Obama’s birth certificate is fake in an interview with CNN.